Do you know what makes a good website? Maybe you have an idea that your website should be eye-popping, with stunning images and a design that makes your visitors go ‘Wow’. Of course, none of that hurts, but it takes more than a beautifully-designed website to convert visitors into leads – which could be where you’re going wrong. An effective website isn’t about you or even the web design itself – it’s about your customers. After all, that’s who your website is really for, isn’t it? Having a fancy website is one thing, but it’s fairly useless if your customers can’t find anything and end up leaving confused or frustrated. That’s why you need a customer-centric web design, which focuses on solving your customers’ problems through the products and services you offer. It means optimising your website to attract your ideal buyer, and supporting them throughout their buyer’s journey – not just focusing on promotional offers and sales in the hope that someone will be interested. Finally, it should always, ALWAYS, speak the buyer’s language. When it comes to your website, it’s normally designed around your opinion, and your designer’s. But what about the customer’s opinion – isn’t that what really matters? In fact, I’ll go even one step further: why not let them decide? Now you’re starting to get the idea of customer-centric web design. By surveying your best (or ideal) customers and taking the time to really understand their challenges and what was important to them when they first looked for your solutions, you can create a content strategy that addresses their challenges and most-asked questions. You might think that sounds a bit backwards, but actually, the content-first approach can be used to dictate the actual design of your website. The design will essentially be built around your customer-focused content, rather than the other way around – and it works. In fact, doing it this way will turn your website into your best salesperson. If you manage to get it right, a website designed for your customers will speak their language, solve their problems, and quickly become their main stop when it comes to finding their ideal solution. It will be easy to navigate, and the content will make it feel as if you’ve read their mind by answering all the questions they’re currently facing, and more. Because you’ve based your content around the challenges and experiences of real customers, there’s no guesswork involved, and your customers will feel like you truly know them. In turn, your website will be far more effective at converting visitors into leads and sales. See how that works? And I’ve only just touched upon the benefits customer-centric web design can bring (TIP: stay tuned for my upcoming blog where I’ll go into those in more detail). If you think a good website is all about stunning images and fancy design work, think again. Of course, your website should still be visually appealing, but if you don’t make it about your customers, all that hard work could go to waste. After all, having a fancy website is all well and good, but it’s relatively useless if your customers can’t find what they’re looking for and leave feeling confused or frustrated. A customer-centric web design should be optimised to appeal to your ideal buyer, and you should use the past challenges and experiences of your best customers to come up with content that really speaks to them. Answer their questions, and they’ll feel like you’ve read their mind – essentially turning your website into your best salesperson. So, are you thinking you need a redesign yet? 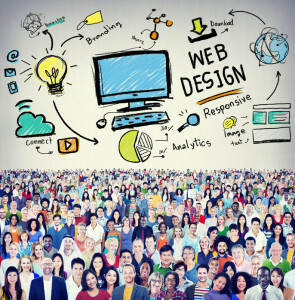 This article was syndicated from Business 2 Community: What Is Customer-Centric Web Design?